There are over 70 distinct ethnic groups in Kenya, ranging in size from about seven million Kikuyu to about 500 El Molo who live on the shore of Lake Turkana. Kenya's ethnic groups can be divided into three broad linguistic groups-Bantu, Nilotic and Cushite. While no ethnic group constitutes a majority of Kenya's citizens, the largest ethnic group, the Kikuyu, makes up only 20% of the nation's total population, The five largest - Kikuyu, Luo, Luhya, Kamba and Kalenjin- account for 70%. 97.58% of Kenya's citizens are affiliated with its 32 major indigenous groups. Of these, the Kikuyu, who were most actively involved in the independence and Mau Mau movements, are disproportionately represented in public life, government, business and the professions. The Luo people are mainly traders and artisans. The Kamba are well represented in defense and law enforcement. The Kalenjin are mainly farmers. While a recognized asset, Kenya's ethnic diversity has also led to disputes. Interethnic rivalries and resentment over Kikuyu dominance in politics and commerce have hindered national integration. The principal non-indigenous ethnic minorities are the Arabs and Asians. Almost all the Kenyan Arabs live in Coast Province, more than half of them in Mombasa. Over 99% of the Arab residents have Kenyan citizenship, speak Swahili rather than Arabic, and generally see themselves as Africans. Non-Kenyan Arabs, mainly petty traders from Yemen, are called Shihiri. When Uganda expelled 80,000 Asians in 1972, public pressure intensified in Kenya to force non-Kenyan Asians to depart. Under the Trade Licensing Act, non-citizens were denied permits to own or manage commercial establishments. In reaction, British immigration laws were modified to allow about 3,000 Asians from East Africa into the United Kingdom each year Kenya has one of the largest European communities in present-day Africa and hosts many Americans as well. Many Americans work as missionaries or with the official family-planning programs, the Peace Crops or one of many U.S firms operating in the country. With its consistent pro-Western alignment, Kenya has actively fostered cultural, social and economic contacts with the West. The Kikuyu, Meru, Gusii, Embu, Akamba, Luyha (or alternate spelling of Luyia), Swahili and Mijikenka (which in fact is a group of different ethnic groups) constitute the majority of the Bantu speaking peoples of Kenya. In general, the Bantu have been farmers. The Kikuyu (or Gikuyu) homeland is around Mount Kenya and it is believed they migrated into the area from East and North East Africa around the 16th century. They were neighbors of the Maasai and although there were raids for cattle between them, there was also a lot of trade and intermarriage. The Kikuyu god, Ngai, resides on Mt. Kenya which they call Kirinyaga. As with other ethnic groups, the traditional healer was held in high esteem. For the Kikuyu, land ownership is the most important social, political, religious, and economic factor. They have a complex system of land ownership that revolves around close kin, The importance of land brought them into conflict with the colonial government when white settlers and farmers occupied their traditional lands. Today, Kikuyu farmers produce most of the fresh produce that is consumed in Nairobi as well as coffee and tea for export. Many Kikuyu have also been successful in economic and commercial endeavors. Traditionally, the Kikuyu were governed by a council of elders based on clans. The Akamba (or Ukambani) migrated into their present homeland, which is east of Nairobi towards Tsavo national park, about 200 years ago. 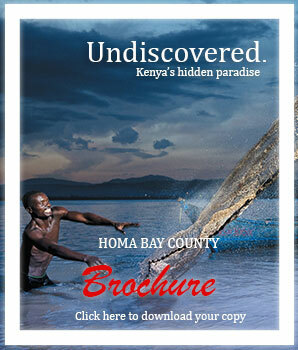 They were exceptional traders participating in commerce from the coast to Lake Victoria all the way up to Lake Turkana. Their main trade items were ivory, beer, honey, iron weapons, ornaments, and beads. Because they settled on arid land, they also traded for food with their neighbors the Maasai and the Kikuyu. During colonialism, the British respected them for their intelligence and fighting skill. Many were drafted into the Army and fought in World War One. However, the British did not respect their land or right to own cattle. The British tried to restrict the number of cattle the Akamba could own and confiscated cattle above the set amount. In response, the Akamba created the Ukamba Members Association that led a peaceful march and protest to Nairobi. Like many other ethnic groups, the Akamba have a series of age sets and the men are initiated into adulthood at around age 12. Elders were responsible for administrative and judicial functions as well as overseeing religious rituals and observances. The Luyha's traditional homeland is around Kakamega in western Kenya. They are Kenya's third largest ethnic group after the Kikuyu and the Luo. The Luyha suffer from high population density which effects their farming economy as cultivation occurs on plots that get smaller with each generation. They are important producers of sugar-cane. The Meru are actually eight different groups of people. They migrated to the North East side of Mount Kenya around the 14th century from the coast, probably displaced by Somalis. Until 1974, the Meru were governed by a chief called the mogwe. But in 1974, the chief converted to Christianity and the practice was abandoned. Also farmers, the Meru produce tea, coffee, pyrethrum, maize, potatoes and miraa, a stimulant popular with Muslims. The Embu are well known for their honey and also for dancing on stilts which is performed by men wearing long black coats and white masks. The Swahili are not really one ethnic group. The term Swahili refers to different peoples who share a common link, the Swahili language, although it is spoken with different variations and dialects up and down the coast. Sub-groups of the Swahili include Bajun, Siyu, Vumba, Pate, Mvita, Shela, Fundi, Ozi, and Amu who live in Lamu. They have a long-standing trading civilization. They traded with people as far away as the Chinese for porcelain. They possess excellent ship building skills (their dhows trade up and down the east African coast), as well as renown wood carving skills. Around the 7th century, Islam became the predominant religion. Nilotic ethnic groups include the Luo, Masai, Turkana, Samburu, and the Kalenjin. The Luo are the second largest ethnic group in Kenya and they live for the most part on the shores of Lake Victoria. The Luo migrated from the Nile region of the Sudan around the 15th century. Originally, the Luo were pastoralists, but when rinderpest decimated their herds, they became fishermen and farmers. The Luo also played an important role during the independence struggle and many leading politicians have been Luo including Oginga Odinga, Tom Mboya, and Robert Ouko. In Luo music, they use a one stringed-lute, the orutu, and an eight-stringed instrument, the thum, to produce haunting melodies. The Luo have a different puberty rite than their neighbors. It involves extracting four or six bottom teeth. This is no longer widely practiced. The Kalenjin are actually the name the British gave to several different ethnic groups that speak the same language but different dialects. Some of the ethnic groups that comprise the Kalenjin are the Kipsigis (who have produced some of Kenya's best runners), Nandi, Tugen, and Elyogo. Kenya's current president, Daniel Toroitich arap Moi, is a Tugen. Because of his political power, the Kalenjin have become politically powerful. They mostly live in the Rift Valley and probably migrated from the Sudan about 2,000 years ago. Although mainly pastoralists, the Kalenjin have taken up some agriculture and also produce honey. The Maasai, Samburu and Turkana are probably the most well known ethnic groups outside of Kenya. The Maasai migrated to Kenya from what is today the Sudan about 1,000 years ago and constitute about 2% of the total population. Their comparatively small number does not equate with their reputation and fame outside of Kenya as stoic and brave lion hunters and warriors. In spite of pressure from the Kenyan government to modernize, the Masai have fiercely maintained much of their traditional culture and way of life. They are nomadic cattle and goat herders, and for them cattle is the most important social, economic, and political factor. Cattle are a sign of wealth, social standing as well as a food source. Milk and blood, tapped from a cow's jugular vein, is a staple. Their traditional homeland is southern Kenya and northern Tanzania in an area that has the most visited game parks.Thus many tourists come in contact with the Maasai morani (warriors) clad in red blankets, red ochre covering their heads and carrying spears and clubs as well as Maasai women wearing colorful beads. The Maasai help to manage and maintain the Maasai Mara National Park and receive a percentage of the park fees. The Samburu are closely related to the Maasai and their traditional homeland is around Maralal in Northern Central Kenya. Like the Maasai their morani prefer red blankets, use red ochre to decorate their heads and the women wear beaded jewelry. They also tend cattle and goats, but it is cattle which is the center of Samburu social, political, and economic life. The Samburu are still nomadic people and when pasture becomes scarce in this semi-arid land, they pack up their manyattas (small settlements) on camels and move to better pastures. The Turkana are closely related to the Maasai and the Samburu. They have a reputation as fierce warriors. Although they keep goats, sheep and camels, cattle is the most important component of Turkana life. Their diet consists mainly of milk and blood. The Turkana live in Northern Kenya, near Lake Turkana on arid land. Like many other ethnic groups in Africa, Turkana men have several wives. However, the Turkana have a three year wedding ceremony that ends after the first child is weaned. The Maasai, Samburu and Turkana practice cattle rustling. Law enforcement officials tend to stay clear of disputes arising between and within groups. Disputes are settled by elders and often the guilty person is fined cattle, goats, camels, or sheep. Cushitic speaking people comprise a small minority of Kenya's population. They include the following ethnic groups: Somali, El Molo, Boran, Burji Dassenich, Gabbra, Orma, Sakuye, Boni, Wata, Yaaka, Daholo, Rendille, and Galla. The Somali tend large herds of cattle, goats, sheep, and camels in the dry, arid lands of Northern Kenya. They are politically well organized and are united by both family allegiances and political treaties. The Somali also produce exquisitely carved headrests and woven artifacts.